The Lao People’s Democratic Republic (Laos) is a land-locked nation bordering Myanmar, Thailand, Cambodia, Vietnam and the People’s Republic of China. While officially still a communist country, Laos has had a free market economy since 1986. Famously laidback, Laotians are one of the friendliest people in South East Asia and the nation’s geography among the most stunning. 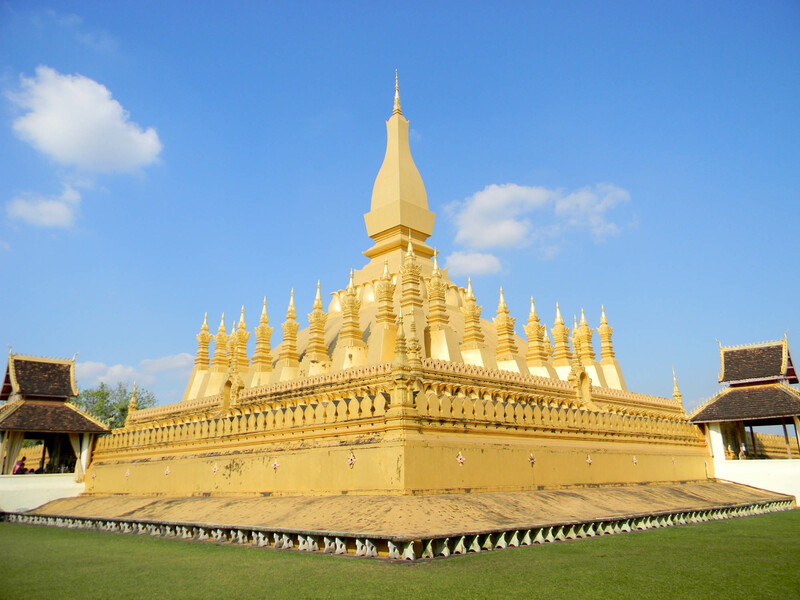 Though tracing its history back to the 14th Century, Laos became a modern nation state in 1953 after gaining independence from France. The capital Vientiane lies on the Mekong River with Laos’ close neighbour Thailand on the opposite bank. Laos forms part of the Golden Triangle and is the world’s third largest opium producer behind Afghanistan and neighboring Burma. Forestry, agricultural land, hydroelectricity and minerals account for more than half of Laos’ total wealth. Stretching gently along the bank of the Mekong River, Vientiane is a relaxed, relatively compact capital city, perfect for catching the stunning sunsets with a drink in hand. 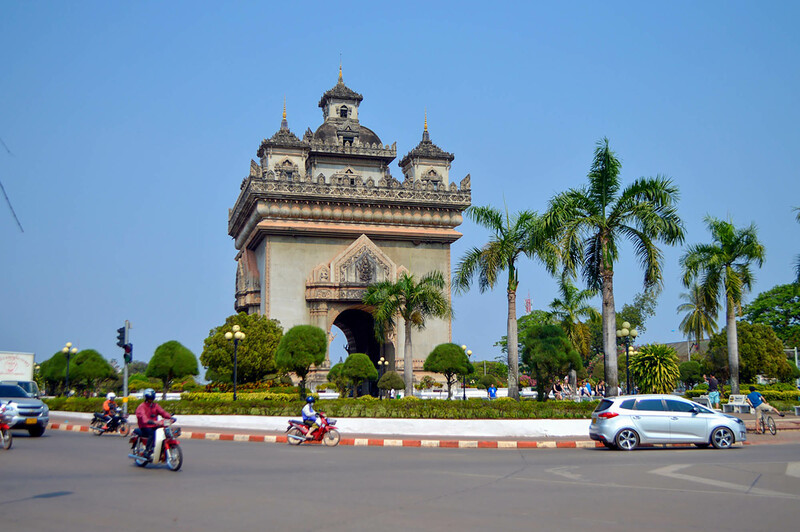 Typically laid back, Vientiane is an ideal city to explore on foot or by bicycle to enjoy the distinctly French-style architecture that sits side by side with Buddhist temples. There’s plenty to choose from when it comes to accommodation and dining, especially along the riverside area. After dark there are plenty of bars and some upscale cocktail bars to enjoy but don’t expect much in the way of nightclubs. Lacking the hustle and bustle of other regional capitals, Vientiane is the perfect place to enjoy effortless charm. Luang Prabang is an ancient Royal Lao capital that was declared a UNESCO World Heritage Site in 1995, and is a must-visit destination for all who travel to Laos. 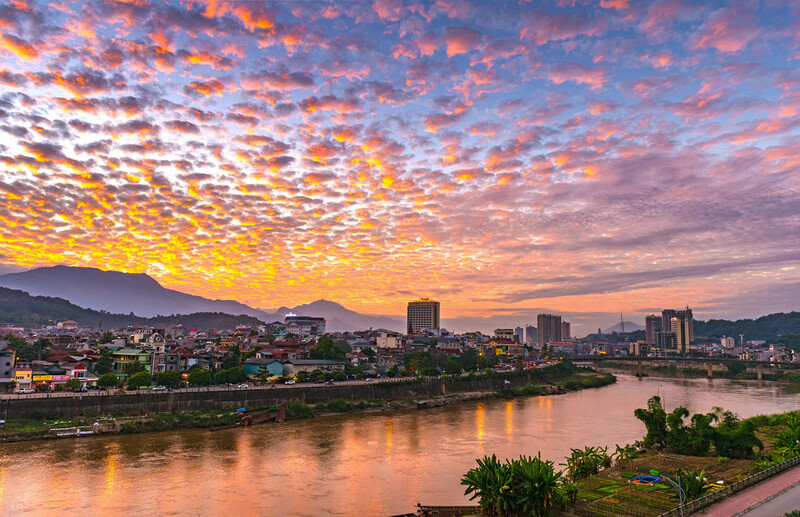 Surrounded by mountains and serenely located at 700m above sea level where the Mekong and Nham Khan rivers converge, Luang Prabang is at the heart of Laotian culture and is the country’s number one tourist destination. This idyllic, pristine little town with its French colonial architecture offers a greater variety and quality of accommodation and dining options than other Laotian cities. Thanks to its popularity among tourists. Luang Prabang remains the centre of Buddhist learning in Laos and 33 beautiful temples populated by hundreds of saffron-robed monks are dotted across town with a dedicated tourist trail guiding visitors to each of the shimmering golden pagodas. 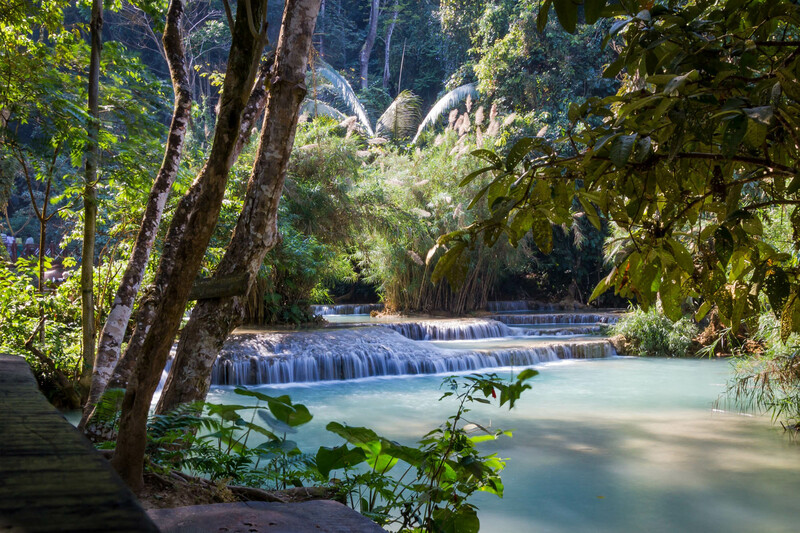 Beyond the wealth of cultural highlights, Luang Prabang also boasts stunning natural beauty with waterfalls, mountains and caves, as well as the mighty Mekong River to explore. A rare cultural gem, Luang Prabang lures visitors with its unique ambience and mystique. The Plain of Jars in central Laos is one of the most mysterious prehistoric sites in the whole of Southeast Asia. With over 90 sites scattered across the Xieng Khoang province, the small country town of Phonsavan has become the centre for marvelling at the giant stone jars scattered across the landscape. Although no full-scale archaeological digs have been conducted and no meaning has yet been accepted as to why the jars exist, walking around the major sites brings a sense of awe-inspiring history. 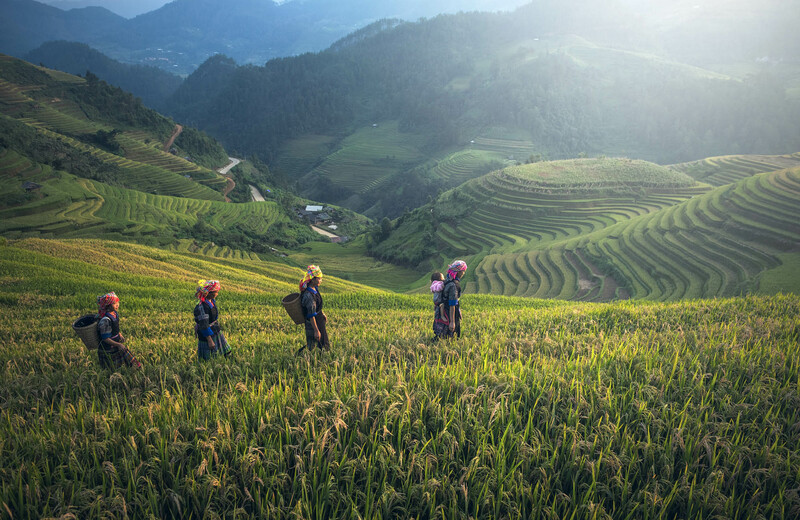 More recently, the area was heavily bombed during the Vietnam War and hundreds of bomb craters are still visible from the air and the threat of unexploded ordnance means only seven major sites are completely safe and accessible to tourists. Together, they comprise more than enough for a couple of days walking. Events – MICE and Responsible Tourism are organized by Apsara Tours Co.,Ltd. © Apsara Tours Co.,Ltd 2019. All Rights Reserved.